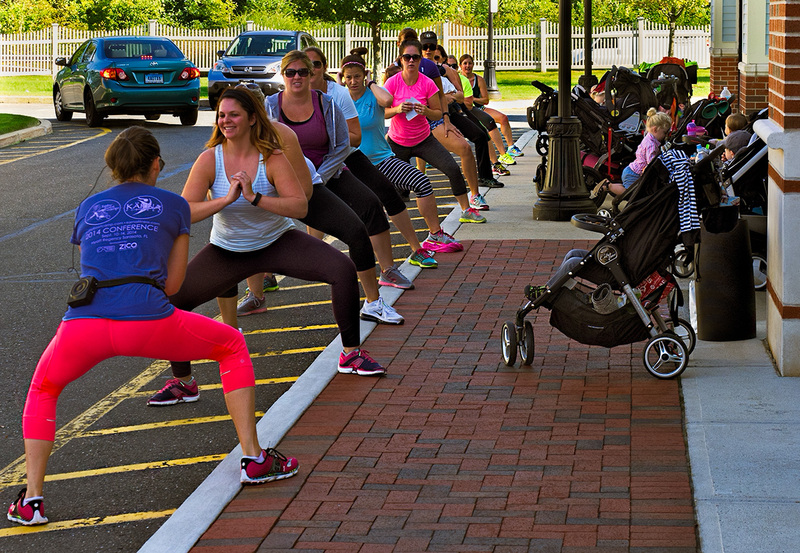 Frank Brault | all galleries >> Galleries >> Street, Urban, Pub, Mall, Water, Beach, Marinas > Baby Boot Camp - Another photo below. 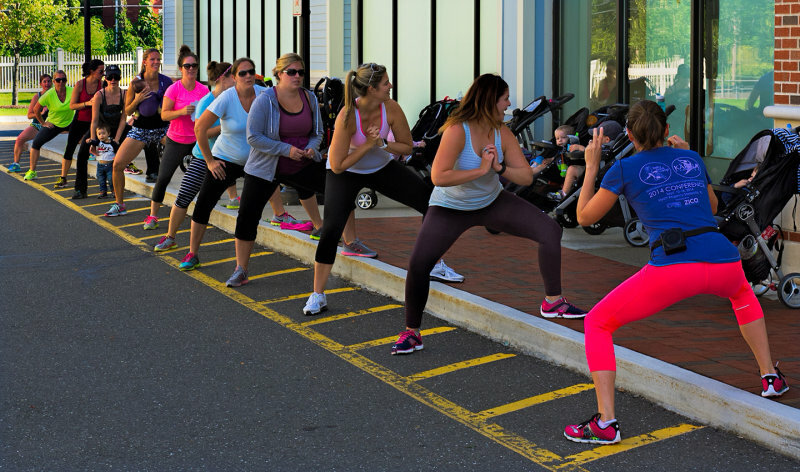 "Baby Boot Camp is an innovative stroller fitness program that helps moms regain or enhance pre-pregnancy fitness levels and meet the physical challenges of parenting by emphasizing strength training in a supportive environment. Born out of necessity, Baby Boot Camp arrived shortly after Kristen Horler's first child in August 2001. After extensive research, she was unable to find a challenging workout that didn't require hiring a personal trainer and a babysitter or purchasing a gym membership. nice shot of them Frank. Great that they are doing this together. I do think the little boy spotted you. "V"